To me it’s very basic: “There is no such thing as a free lunch”+”If it sounds to good to be true it is”. If you’d install high quality installation the installation cost would be cost prohibitive, if you install China grade the installation won’t last long enough to return your investment let alone be profitable. Now that subsidies are being cut and the real price has to be paid, and you get the real market spot price for the energy you put back into the grid instead of the subsidized price these forms of energy production are the most expensive and unreliable on the market today. 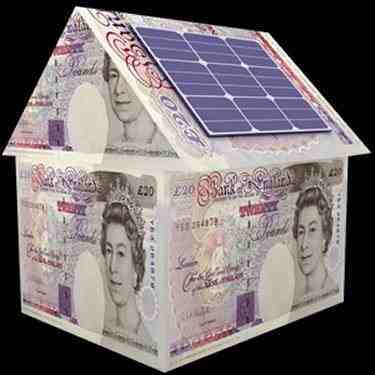 Everyone has heard the pitch for solar energy, install solar cells on your roof and get free electricity from the Sun. Sure they cost a lot up front, but they will last 25-30 years—which just happens to be about the payback time given current electricity rates from coal, nuclear and natural gas. So when solar panels start failing in two or three years the economics of solar power collapses like a house of cards. That is exactly what is happening around the world. Cheap Chinese solar panels have flooded the market and are now starting to fail at an alarming rate. Solar panels covering a warehouse roof in Los Angeles were only two years into their expected 25-year life span when they began to fail. Worldwide, solar power adopters are reporting similar problems and say the $77 billion solar industry is facing a quality crisis. This entry was posted in Other Authors and tagged climate, DoomedToFail, Factfree Science, hogwash. Bookmark the permalink.